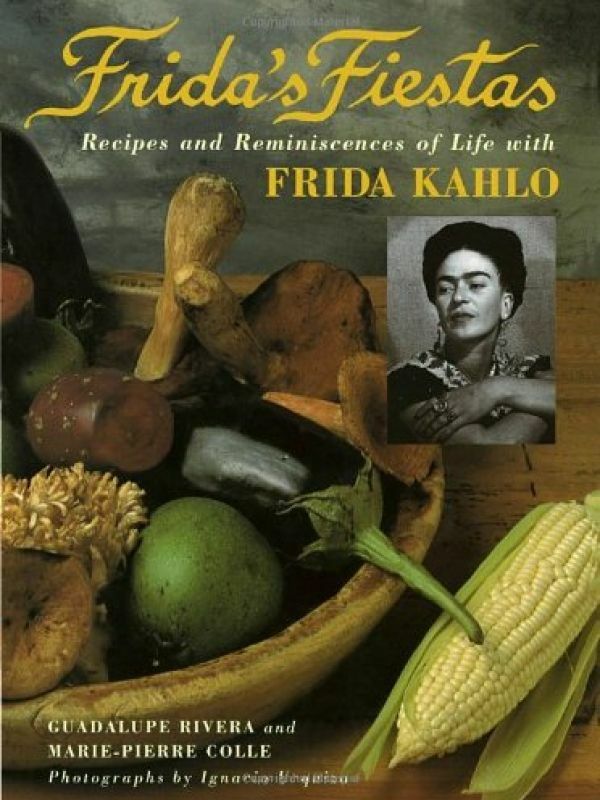 Frida's Fiestas: Recipes and Reminiscences of Life with Frida Kahlo (Clarkson Potter, 2002) is a book written by Guadalupe Rivera and Marie-Pierre Colle. The cookbook is a fascinating peek into Frida's life, told by someone who grew up in her home: co-author Rivera is Diego's daughter by a previous marriage. 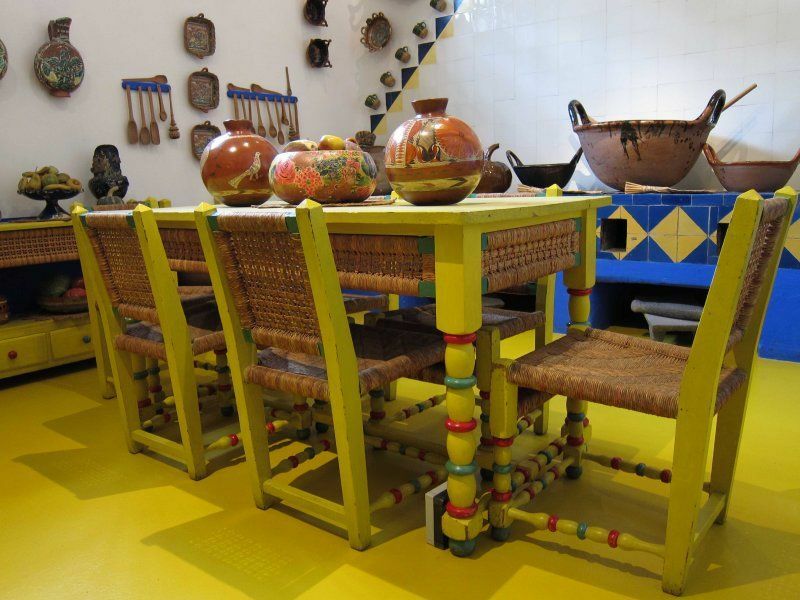 Frida knew the value of being a good cook. It was as much a part of her Mexicanness as her Oaxaca style of dress. But she became a good cook because of her love for Diego. "From her wedding day on, Frida realized that good cooking would be an important part of her life," Rivera writes. "Master Rivera's bad moods vanished before the delicious dishes that are normally served in a Mexican home, like white or saffron rice ... stuffed chilies in broth, and Oaxaca mole." 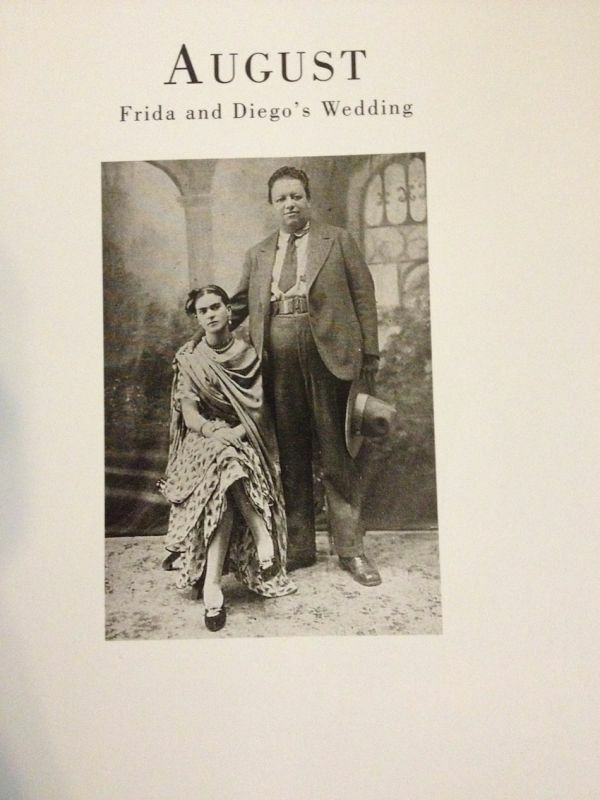 Frida's Fiestas is a cookbook organized by month, beginning with August, the month of Frida's and Diego's wedding. 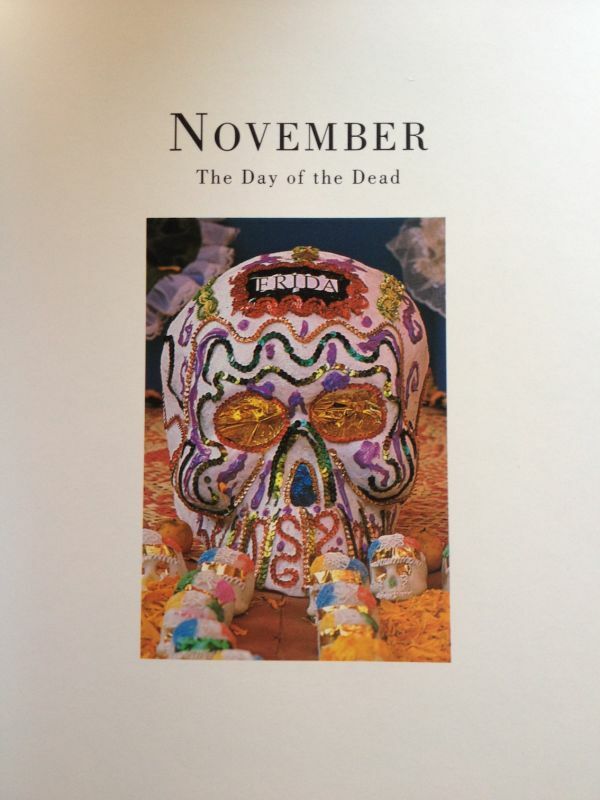 A menu evocative of familial and cultural celebrations of Frida's Mexico marks each month. For Frida, every occasion was a cause for rejoicing. She met each holiday, birthday or religious observance with enthusiasm. Her style of cooking and entertaining, as detailed in Rivera's cookbook, was as vibrant and colorful as her painting." Read here the complete article by Greg Morago - SunSentinel. See the video below for an interview with Guadalupe Rivera Marin about Diego and Frida's relationship with food and cooking. Visit the below website for an audio summary of the book.